One month down already! January was really hot, with record temperatures. It was also full of appointments for my son and trying to get things organised to kick-start the year. I have set my goal on GoodReads at 50 books for the year, however I’m already 4 books ahead of schedule, so that may change during the year. 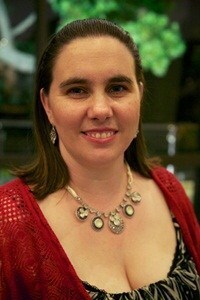 The year started off with an ebook, Fairy Dust (Bedtime Tale #1). I followed that up with some middle grade books, Hijabi Girl by Hazel Edwards, Secret Agent Lexie by Christine Morris, and Harriet and the Secret Librarian by Debra Clewer. These were so I could kick-start my reviews on Read for Fun. I realised I’d reviewed a lot of picture books, but not as many books for older readers. I’m wroking at changing that this year. A couple of picture books were added to the list. The Box Cars by Robert Vescio and Cara King would have inspired my kids to make box cars if they were a bit younger, and McToad Mows Tiny Island by Tom Angleberger and John Hendrix is a whole lot of fun. 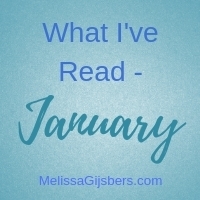 January wasn’t just about books for kids. I also read A Recipe for Disaster by Belinda Missen. I really enjoyed this book as I knew I would when I first saw the cover on Twitter. I also started to read A Month of Sundays by Liz Byrski, a book my sister gave me for my birthday last year. I’m really enjoying it and am looking forward to seeing what happens next. I hope January was a great month for reading for you too. ← Mystery Box Magic – In the Dark! !